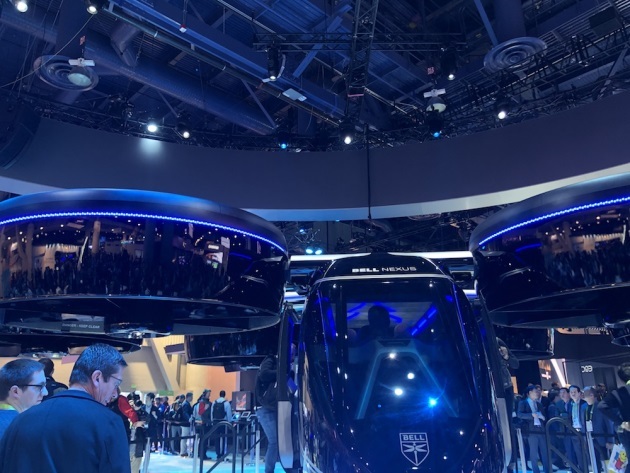 While Las Vegas is currently one of two cities in the U.S. allowing for consumer testing of driverless cars, the city got another driverless boost recently from CES2019: the driverless heli-taxi. 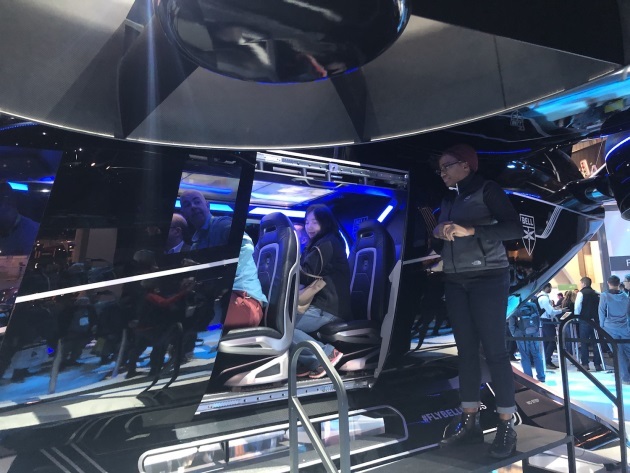 Even though the annual Consumer Electronics Show brought a life-size prototype of the new aerial hybrid vehicle currently in development, it also brought a lot of debate about the future of urban transportation — the good, the bad and the seemingly impossible. The vision is this: sometime in the not-too-distant future, a traveler, a commuter, or a person in a hurry may be able to choose on a whim to hail an air taxi from a nearby rooftop and take that taxi to another rooftop stop, the airport or even some port on a high-rise rooftop of another nearby city. Trips that could take 45 minutes to hours, depending on traffic, would be on-demand and relegated to minutes and arranged in a snap through an app supplied by … yes, Uber. The concept of Uber Air is a very real one, according to company brass attending this year’s CES, and it is spearheading debate that brings up all sorts of questions, concerns and awe. Robin Lineberger, a global aerospace and defense leader at Deloitte, noted that a survey of nearly 11,000 car buyers globally showed that people believe the air vehicles concept, piloted or autonomous, to be a viable and safe way to beat transport congestion. Some 52 percent admitted they did not yet agree that the concept is a strong solution to urban and suburban congestion. Twenty-four percent did not see it as a viable alternative at all and 28 percent were undecided. A fifth of the respondents believed they would, indeed, be safe riding in an air taxi concept. Uber, the ride share company that upended the stranglehold taxi lobbies have been placing on the way people get around, is valued at as much as $120 billion for its IPO, according to Bloomberg, and can well afford the partnerships and R&D in process currently. 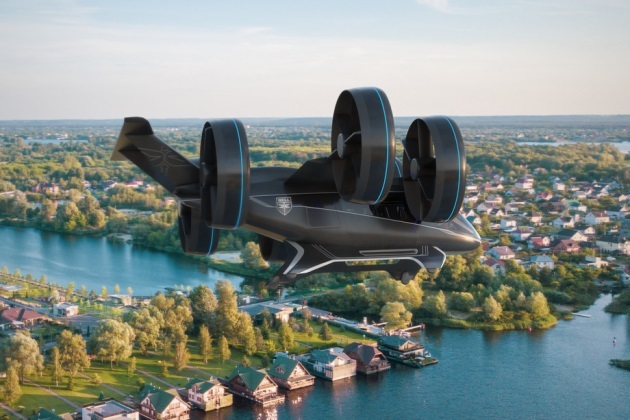 At CES2019 this month in Las Vegas a massive black apparition that seemed part-drone, part-helicopter and part-USS Enterprise made its way to the show floor for an exquisite peek at what the future may bring. The item, called Nexus, is in development at Bell Helicopter, and uses electric vertical take-off and landing (eVTOL) technology that is in process through participating partners, such as Aurora Flight Sciences, Pipistrel, Embrauer, Mooney, Karem, and Boeing. The Bell Nexus weighs 6,500 lbs., seats five people with a total weight of up to 600 lbs., and uses articulated ducted fans to propel itself through the air. It runs on a hybrid fuel solution with eyes toward a total electric energy model. The Nexus was presented as part of a string of drone style products that will one day take up the air space with medical and security applications and package deliveries as well as people deliveries. Uber hopes to see its vision of Uber Air come to life by 2023 and plans to start air testing the hardware by 2020. But whether these air taxis will fly is another story. First, there is the question of the public. These taxis aim to be driverless and will have to rely on a robust infrastructure of eVTOL stations and operations and air monitoring technology to make a simple two-mile flight. Second, there are volumes of regulatory measures that must be passed and put into place. Third, there is always the question of whether the public will buy into it. Julie Richman, chief innovation and technology officer for the city of Boulder, Colorado, is helping to smooth the way for a Denver to Boulder Hyperloop test track. The Hyperloop, popularized by SpaceX founder Elon Musk, is a concept based on vacuum-sealed tubes that electromagnetically pushes pods from city to city at speeds of 670 miles per hour, according to Los Angeles-based Hyperloop One. The company was renamed Virgin Hyperloop One recently after Richard Branson’s Virgin Group made a strategic investment. Uber Air is not the first vision the world has been presented with in selling the concept of “flying cars.” The Chinese company Ehang was the first to show off its prototype at CES in 2016. That model was made as a personal drone that would ride like a car and suddenly convert into a personal flight machine as needed, all the while fitting neatly into a regular-sized parking space or garage. Currently, it is reported that at least 19 companies are in the process of developing a flying car. These include such top aviation companies as Boeing and Airbus, and not to mention Kitty Hawk, a relatively new startup owned by Google’s Larry Page. An onerous obstacle course of FAA hurdles is necessary to jump before any personal or on-demand piloted or driverless air transport solution hits the air. Chris Metts, a transportation/aviation specialist from Deloitte, commented that the FAA oversees the largest and safest air system in the world. “That’s a high bar if you are looking to be approved by this agency. Regulatory efforts are significant and difficult. Something you purchase today may be deployed until 10 years from now and that may, at that time, be in an environment that makes it obsolete,” said Metts. Lark Gould writes Travel2020 for MultiBriefs, and is a news journalist who has been writing about travel and the travel industry for four decades. She is currently senior editor at Business Traveler USA, and also publishes Tours.com/Travel-Intel, which goes out to the travel trade. In addition, she writes for TravelPulse, the San Francisco Examiner, and other publications and serves as a content consultant for travel companies.